Nagaland is situated in North-east part of India with Kohima as its capital. Colleges in Nagaland ensure a great career prospects for the students. Literacy rate in this state is gradually increasing. Colleges in Nagaland provide quality education to the students and are certified registered with the education department. Global Open University is the notable university in Nagaland which provides Vocational and Job oriented courses. Apart from regular courses international courses are also offered by the colleges in Nagaland. Colleges in Nagaland offer courses in the subjects such as Humanities, Sciences, Commerce, English, and other through different modes such as Regular, Open University and campus learning. Nagaland University is the central university in Nagaland situated at Kohima which is the capital of Nagaland. it has many departments such as Department of education, history and Archeology, Linguistics, English, Geology, Commerce and Botany. The colleges in Nagaland have talented and well-versed faculties and complete modern facilities like laboratories, canteens, library, computer and internet connectivity is provided to reach the high standard of education. Famous colleges of Nagaland are Fazl Ali College in Mokochung, Nagaland, Patkai Christain College, and Bailey Bapist College. 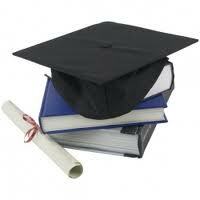 "Following is the list of colleges in Nagaland. All Colleges in Nagaland are divided into region wise. To view colleges in a particular region kindly select the region from the drop down list. The number of colleges in any particular region is mentioned in front of the link. If you come across any college in Nagaland which is not found from our list below, please do let us know by using add in list which is default in our website�.